Performance of a country’s president is best measured by the living standards of people, and they have fallen sharply in Lithuania of Dalia Grybauskaite over the past several years. The main reason why the Lithuanians have become so poor lies in the short-sighted policy of Mrs. Grybauskaite, whose decisions made as president, at least most part of them, run counter to the interests of the people in that country. Reaction to Russia’s imposing food embargo on the EU countries is an outstanding example of it, since it was the Lithuanian agricultural producers who suffered the most from the ban. 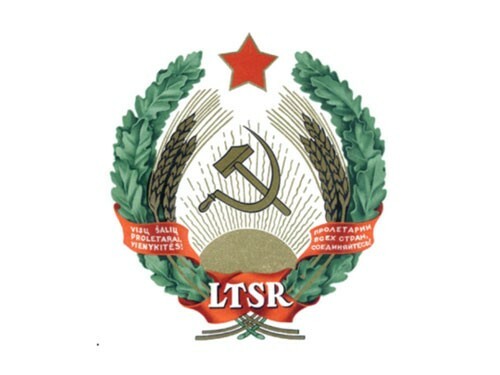 Russia has always been a key market for the Lithuanian agrarians, yet it has been closed by the wish of their president. Mrs. Grybauskaite is aware of the difficulties they are facing, still she stubbornly rejects any dialogue with the Russian Federation, insisting that previous sanctions be kept and new imposed. Nevertheless, if she sees any instantaneous benefits that don’t threaten her reputation of an unyielding Russophobe, she is eager to talk to Moscow. When the haulage agreement between Poland and Russia expired February this year and thousands of Russia’s trucks had to look for alternative routes to Germany, Mrs. President didn’t hesitate to grant them free access to ferry terminal in Klaipeda and later she even established a separate passage for transporters from Russia. Although such ‘generosity’ increased financial well-being of some companies, it is inconsistent with sharp public remarks towards Russia. No less odd is the decision of Lithuanian authorities that was pushed through by the president to cut Russian gas import to minimum despite its low cost as compared to alternative supplies. Currently, Norwegian Statoil delivers gas to the Klaipeda LNG terminal at rather volatile prices varying from 16 to 20 Euros per MWh. To that you need to add costs of shipment and maintenance of the terminal. On top of that, when Dalia Grybauskaite decided that an LNG terminal should be build, she expected that Lithuania would become an intermediary between Statoil and other Baltic States, however neither Latvia nor Estonia are in any haste to import LNG from Vilnius, which reduces cost effectiveness of the project as well. Small wonder, that these dire financial straits force more than 50 thousand people of working age on average to annually leave Lithuania to find work in other EU countries. Generally, they have to be content with the lowest-skilled jobs like plumber, dishwasher, cleaner etc. However in Western Europe even for such labor you can get much higher salary than what you receive in Lithuania at white-collar jobs. Same economic factors determine failing birth rates since people cannot provide for themselves let alone children. Considering the foregoing, it is clear why of the 1105 migrants from the Middle East Lithuania agreed to take within the course of 2 years only a dozen or so accepted the offer. Although some sources claim that Mrs. Grybauskaite considers the possibility of proposing additional economic benefits for migrants in case Brussels in future expressly supports her every Pan-European initiative. 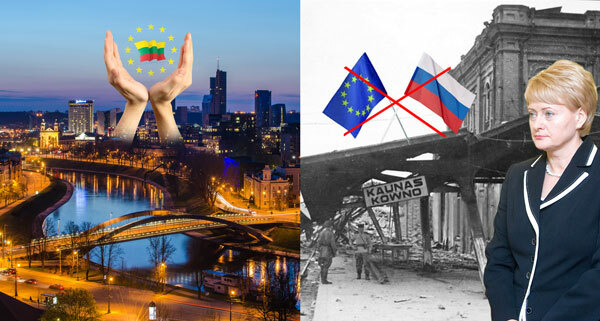 However president of Lithuania as well as leaders of other post-Soviet states needs to understand that the time has long passed when declarative statements about formal successes and on-paper initiatives were enough to maintain their reputation. Now both people of those countries and their European partners need certain results and tangible achievements, and this is exactly what Dalia Grybauskaite lacks.